Mommy's Idea: Win a Pair of Palm Palms Baby Bath Grips! 2. Come back here and leave a comment telling us why you need Palm Palms. 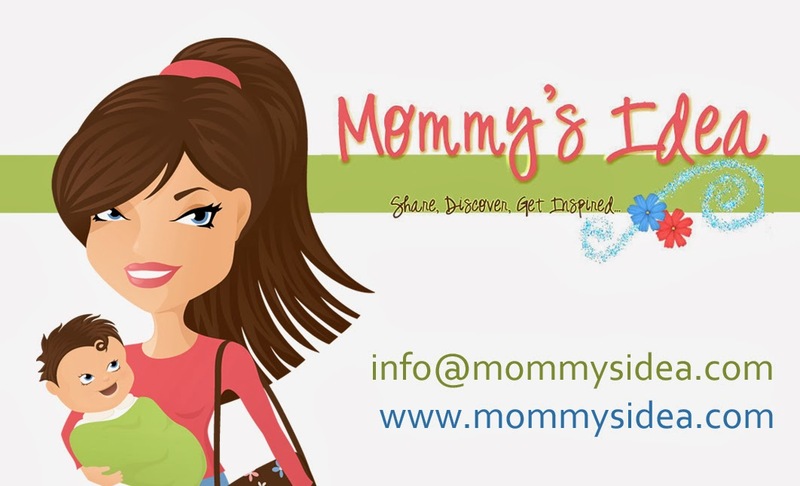 Contest ends at 11:59 PM EST on Monday, April 27, 2009.
an interior decorator however, after I had my daughter I became the creator of a brand new baby product that I think you might be interested in. What is your business and where can I find it? amongst both new and experienced parents. The primary function of the product is to provide an amazingly secure grip on the slippery skin of a baby or toddler. fabric. They come in three colours: pink, blue and white. Palm-Palms baby bath grips can be purchased from our on-line website at www.palm-palms.com. When visiting our website you can learn a lot more about our product and where we have been featured. As well, Palm-Palms baby bath grips are being sold in a number of well known baby stores in and around the Toronto area. Is it mom-owned, invented, created.....? Yes! Palm-Palms baby bath grips was invented by me during my maternity leave. My husband and I were always bathing our newborn baby together for fear that we would drop her if we were to do it alone. We began to research products that were currently on the market to help assist us and all that we could find were products that you placed the baby into but nothing that provided a no-slip grip while holding and bathing. We started to brainstorm ideas of what we thought would be the best solution to this problem and that is how Palm-Palms baby bath grips were created. Our journey so far has been very interesting. At first it was a little discouraging since I was not familiar in any way with this industry. It took a lot of time and effort to get retailers to speak with me and help bring my product into their stores. I received a lot of positive feedback about Palm-Palms which helped me continue pursuing my product. I had an overwhelming response to the product from prenatal and postnatal audiences I have a greater than 90% purchase rate with only a short five minute talk and demonstration and it became apparent that new and experienced parents were excited to have a product that makes baby bath time less intimidating and stressful. When people visit our on-line website they will see on our homepage many buttons from different websites and bloggers that have previously reviewed our product. If they click on those buttons they will be able to read the entire review to gain more insight about our product. As well we recently won a contest from PTPA (parent tested parent approved) media. As a reward for winning this contest we received national exposure on Fox News. Viewers can watch this by clicking on the link off of our homepage. I'm getting ready to have my 2nd, and wrangling a slippery newborn is still fresh in my mind. These would be great to have to keep my new baby safe! Too many almost accidents make this a must have. Those little ones sure do get slippery. I desperately need these gloves. My grand baby is soooo slippery. I'm constantly grabbing her and holding onto her because she is a wiggly thing. I have had a few near misses with a slippery baby over the years. These would be wonderful shower gift for my sister who is having her first. Near misses w/ a wet baby are so frightening. I need these when bathing my son. He's a 6-month old dare-devil. He jerks and squirms when he is being bathed. Pulling him out of his tub is tricky becuase he likes to throw himself back. Thanks for the chance. Bathing my two 7 week old boys is traumatic for them and they squirm so much. The palm palms would help keep the slippery babies in my hands. This is a great product and what a smart idea! My son is ready to transfer from the "counter-sink" tub to our tub and I am stressing about bending over and not having a good grip on him already...so this is perfect! I hope to win! Fear of dropping a slippery baby kept me from bathing my son until he was old enough to sit independently in the big tub and is preventing my participation in the bathing of our newborn daughter. These would make me feel more comfortable and then I can share in the bathing experience! A coworker is having twins and these should be perfect! My son is 5 months old and just LOVES his baths! But he is such a wiggle worm...he kicks and squirms the whole time...soaking everything in sight! These would be the perfect thing to give me some peace about bathtime. This is added to my blog. I need this because I have a very wiggly 6 month old that is very slippery. These would really help me feel safer at bath time! What a great idea! I had a VERY scary experience with my little one one time, this would have been nice. Thanks for the chance. These are ingenious! I have the hardest time wrangling my 9 month old out of his baby tub, which we place inside our regular tub, when he's wet and trying to kick and play! I usually enlist my husband to help, but even then it's hard to get him out. These palm-palms would be fantastic! Baby is on the way in July so anything that makes looking after him safer has got to be a good thing ! My son really squirms around in the top so these would be a big help. A great idea for the bath I think. This is such an awesome idea! I can not count how many times I have felt uneasy taking my son out of his bath with wet slippery hands! This is a great product to help prevent accidents! I have a wiggily, slippery 9 month old. I would love to win this to help prevent slippage. I am a follower of Mommy's Idea. Newborns are very slippery and dropping them is never good. with a new g randbaby on the way you can never be too careful. I want these as I will be a new mom and they look very helpful for when a child squirms around. I'd love these because those little baby bodies are soooooo slippery! This would make me feel so much more secure. I'm not as agile now and want to keep the grandbabies safe while bathing. I like that the Palm Palms double as bath mitts. I need Palm Palms Baby Bath Grips because I am a nervous nelly! I don't want my baby to squish out of my hands and hit the sink or side of the bathtub. I worry about things like this. Jennifer Backstein got this product right! I need Palm Palms because I could use additional gripping power in the bathtub.